Have you ever tried ヱビスビール (Yebisu Beer)? 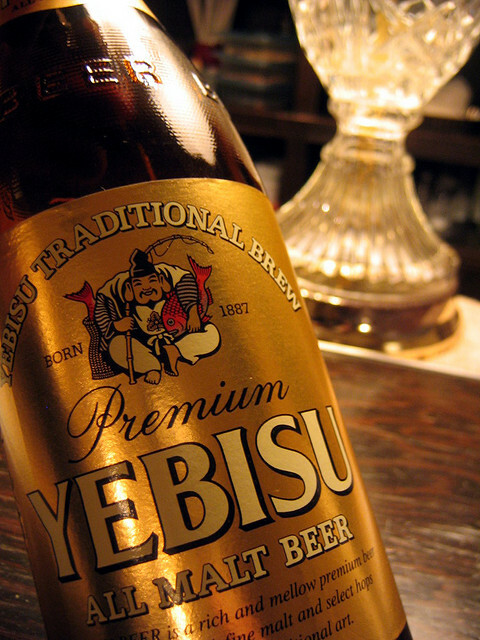 ヱビス is a Japanese premium beer manufactured by Sapporo, and the name came from one of the 七福神 (Seven Lucky Gods), 恵比寿 (Ebisu/Yebisu), who is the god of fisherman usually portrayed carrying a fishing rod and red snapper (鯛) in his hands. 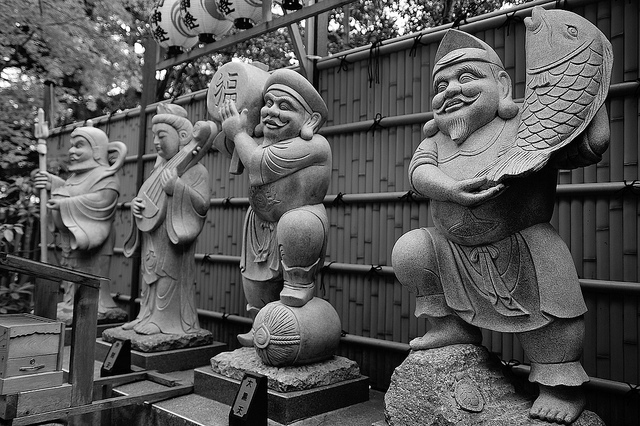 He is often paired with one of the other seven gods, 大黒 (Daikoku), who is the god of commerce, and worshipped by people who wish for thriving business. 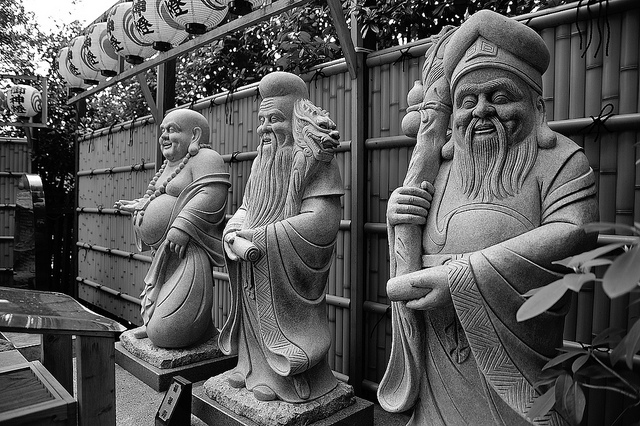 There are many temples all over in Japan dedicated to the 七福神, and people put pictures of the 七福神 under their pillows on new year’s eve to wish for a good luck and prosperity. But if you are really lucky, I mean, REALLY lucky, you may be able to find a super rare bottle with 恵比寿 carrying TWO fish; one in his left hand and the other in the basket behind!! For the longest time I thought it was just a myth, but apparently the lucky bottles do really exist. I even found a picture! You see the fish tail sticking out from the basket behind him?! Oh my goodness!! 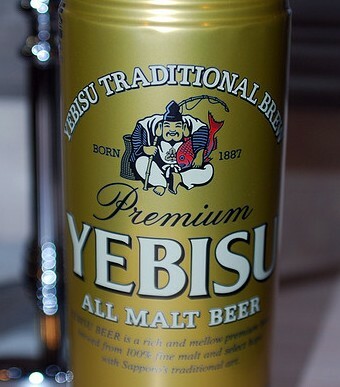 This Friday, treat yourself with some Sushi and ヱビスビール, and take a picture if you find a lucky ヱビス!